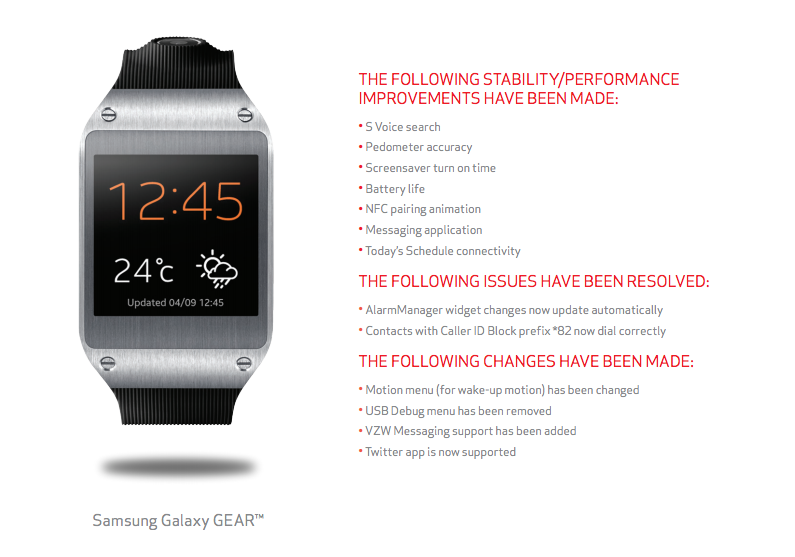 The Samsung Galaxy Gear is receiving a significant update according to Verizon. New support documents from Big Red detail an update that jumps the Gear up to software build V700XXUAMK and introduces all sorts of new performance improvements, while killing off a feature for tinkerers. The changelog is listed below, but it mentions improvements to battery life, S Voice search, pedometer accuracy, the NFC pairing animation, screen saver turn on time, and the messaging application. Verizon and Samsung also removed the USB Debug menu (wtf? ), added support for VZW Messaging, now officially support the official Twitter app, and changed the motion menu. A couple of other bugs in the AlarmManager and Contacts app were squashed as well. 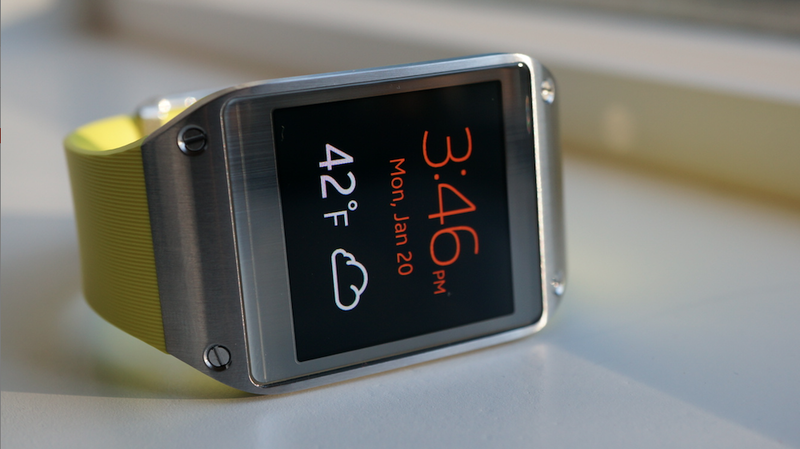 If you are on Verizon and own a Galaxy Gear, be on the lookout for an update coming through your Gear Manager app.